Keiran Shelden is back is balmy Australia and put together a vlog post reviewing what he saw from Tech Field Day earlier this month. He runs through a review of the event in general, and emphasizes the value in being able to have in-depth, direct, technical discussions with the presenting companies. This isn’t just a benefit to the delegates, but has meaningful value for the companies as well. Tech Field Day 18 Here we come! It’s always great to have Keiran Shelden along as a delegate. He just came down to Austin for Tech Field Day last week, and got to drink from the IT firehose with the other delegates. Aside from the educational benefit, Keiran enjoys getting to have conversations about the tech with the other delegates and people at the companies themselves. For him, it’s important to provide a positive dialog, to help build better relationships and better solutions. Keiran Shelden covers one of his favorite presentations at Storage Field Day 16 from Nasuni, who provide a cloud and on-premises Global Object File Storage system running on their patented UniFS file system. Keiran highly recommends checking out Nasuni for organizations with multiple offices looking into a way to centralize files. Keiran Shelden introduces SNIA after their Storage Field Day 16 presentation, explaining what exactly they do. Keiran was impressed by SNIA’s work to promote and educate about storage and recommends their educational resources. Keiran Shelden recaps Zerto’s Storage Field Day 16 presentation, discussing their ZVR disaster recovery product that uses block based replication allowing it to be hardware agnostic. Keiran sees the advances discussed by Zerto as a great way to extend their product set to be able to meet the compliance demands that many companies face and knows the new features will be great for Zerto customers. 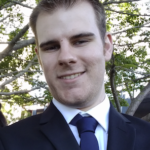 Keiran Shelden is going to be flying from Australia to join us at Storage Field Day in Boston next week. He’s looking forward to meeting the other delegate and digging deep into the company presentations. We’re looking forward to hear what Keiran takes away from the event! With 10 years and counting of working in the IT industry starting out as a school administrator to a System Engineer in the fast paced cloud industry. Keiran has gained experience and skill from working with desktops and laptops right up to designing and implementing cloud infrastructure.